The October Southwest Border Migration Report released by U.S. Customs and Border Protection (CBP) revealed a 378 percent increase in the number of Family Unit Aliens (FMUA) apprehended by Border Patrol agents between ports of entry when compared to the same month in 2017. The number of FMUA apprehensions rose from 4,836 in October 2017 to 23,121 in October 2018. The El Paso Sector witnessed the largest percentage increase in FMUA apprehensions — 2,236 percent. The number of apprehensions in the El Paso Sector jumped from 212 in October 2017 to 5,185 last month. The sector also reported a near 300 percent increase in the number of Unaccompanied Alien Children (UAC) in October over the prior year’s report. The Rio Grande Valley Sector saw the greatest number of increased FMUA apprehensions. In October 2017, agents arrested or apprehended 2,923 family units. That jumped to 11,528 in October 2018 — an increase of 294 percent. This sector also reported an increase of UAC apprehensions from 1,463 in October 2017 to 2,310 in the same month this year. The Tucson and San Diego Sectors also witnessed increases of nearly 600 percent, the report states. The Tucson Sector jumped from 172 family units to 1,163 (584 percent) while the San Diego Sector jumped from 172 to 1,152 (570 percent). With the exception of the Big Bend Sector, each of the remaining eight Border Patrol sectors reported increases in FMUA apprehensions of 198 percent or more. The Big Bend sector actually reported a decrease of 84 percent compared to October 2017. Guatemala lead the nations sending family units to the U.S. with 11,376 reported in October. Honduras followed with 8,419, El Salvador with 2,632, and Mexico with 255. Nations sending unaccompanied minors followed a similar order — Guatemala (2,130), Honduras (1,222), Mexico (873), and El Salvador (636). 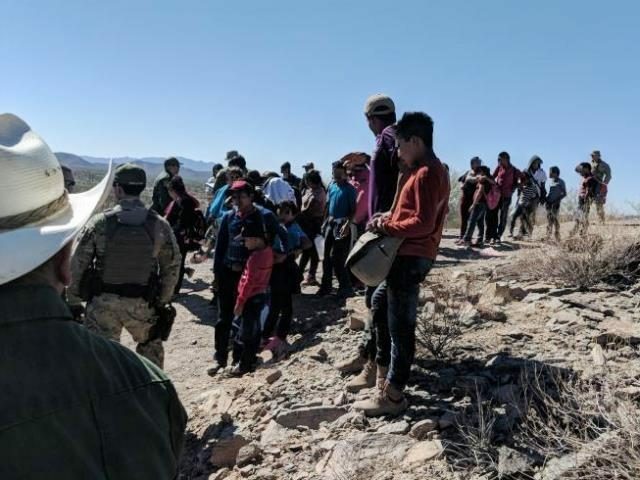 In total, Border Patrol agents apprehended 50,975 migrants who illegally crossed the border between ports of entry between Brownsville, Texas, and San Diego, California.